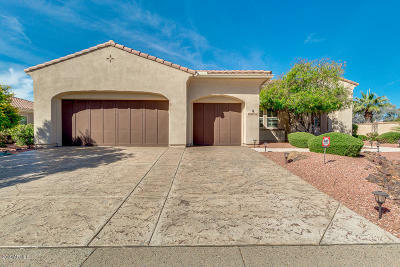 Welcome to Sun City West Arizona Del Webb 55+Active Adult Golf Community! 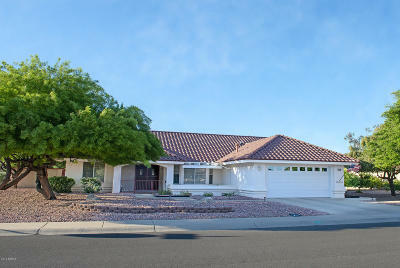 Sun City West is the 2nd Sun City Del Webb designed and built. Located just down Bell Road a couple of miles from Sun City AZ, you will find the entrance to Sun City West AZ 55+Active Adult Golf Community. If you are ready to escape the elements of your home state for the winter or on a permanent basis, Sun City West has the home, duplex/Gemini twin or condo ready for you. 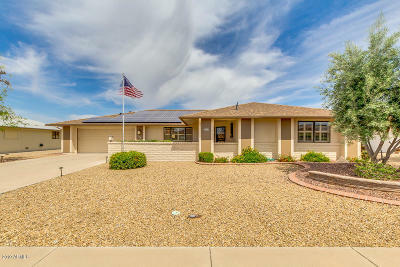 The community of Sun City West AZ is made up of a wide range of single-family dwellings from 920 sq ft to 3500 sq ft on or off the golf course some with private pools, some in HOA’s where your yard is taken care of for a monthly fee. A duplex/gemini twin may be more to your liking and there are a wide variety of this type dwelling throughout the community. If condo living is more your style Grandview Terrace is a 6 story condo complex with fine dining, indoor walking track and indoor pool all available to residents of this fine complex. This fine Del Webb 55+ Active Adult Community is equipped with 7 Golf Courses 4 regulation length and 3 executive length courses. The 4 Recreation facilities include indoor/outdoor pools, Fitness centers, indoor/outdoor walking tracks for the type exercise you prefer. Tennis, Bocce, Raquetball/Handball, Lawn Bowling, Softball and Shuffle Board being a few of the activities anyone that is a resident of Sun City West is allowed to join. Arts and Crafts clubs are abundant in Sun City West and each club having its own work space. A few of the clubs include ceramics, clay, macramé, lapidary, leather carving, model railroading, photography, stained glass and silver craft. The metalworking and woodworking clubs have their own buildings with state of the art equipment and people in the know to help you get started with this type craft. Garden Club is equipped with their own plot of land where you can claim your plot of ground and grow your own vegetables and plants year round. There are all kinds of clubs for the person that loves the outdoors a few being motorcyclists, bicyclists, fishing, hunting, RVing and many more clubs of interest to the outdoors person. Right in the heart of Sun City West at RH Johnson Recreation center you will find a 30 lane bowling alley. In the same building a 30 table billiards and pool room exist for the competitive game or just games of leisure with a friend or companion. Sun City West 55+ Active Adult Community is a extremely well planned out community and is ready for you to enjoy your retirement years. Whether it be on a part time basis while it is cold and snowing or for that year round resident here to take advantage of everything this fine community has to offer, Sun City West is a great place to live and call home! !